Startup founders are very selective of who they bring onboard. This is particularly the case in early stage, where the perceived value of what they’re building is high. In this stage, founders aim to bring in strategic partners that they hope will add as much value as the founders themselves. This aiming high mindset is right. Settling for less so early can turn the startup into a fraternity. There is however a blind spot. In the pursue of higher value, founders close doors on important skill sets. Some of which are critical for getting the right traction. In my experience, people that levitate towards the role are extroverts. They have a large group of friends and followers, online and in real life. They attend lots of parties and are somewhat of a celebrity. To a founder working 16 hours a day such glamour feels decadent. The hardworking entrepreneur may see the community manager as a socialite that doesn’t value hard work. While this perception may be true in some cases, it is unfunded in most. Socialites do work hard their own way. Maintaining that status requires effort. Doing it right requires talent. Doing it consistently, discipline. Okay. Socialites aren’t lazy. But why do community managers matter? Let’s say you’re starting an app or website. You have a clear vision for what your ideal user looks like. That user you would feature on the home page for others to discover and emulate. Promoting certain behaviour is easy to do in the very early stages. After all, most users are your friends and their friends. But as the app spreads into the wild, it inevitably attracts less-than-ideal personas. Sure; settings, defaults and features can contribute to steer usage in certain directions. But unintended uses are resilient and crappy behaviour spreads fast unless a human intervenes. Failure to manage can have unintended consequences. In some cases these consequences can be good, showing you what people really want to do with your product. But in most cases, things quickly turn to anarchy. The end result? A community of which you wouldn’t want to be a member yourself. A community manager that understands how to talk to people is the perfect candidate to prevent this derailment. Bring them in early. Be sure they’re passionate about what you’re trying to do. Share equity if you can’t afford them. Most importantly, understand that they bring real, high and strategic value. Bonus link: An article from Mashable about some of the most important qualities of an effective community manager. (Opens in a new window). 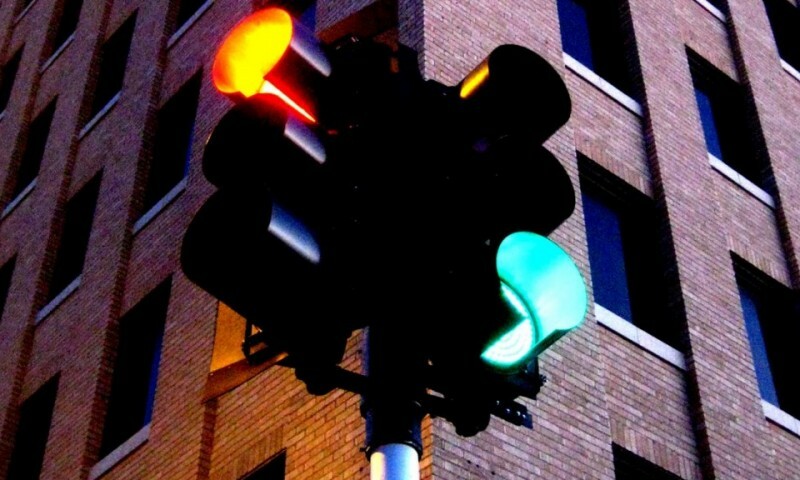 The photo used in this post is traffic light obsession.3 by Clay Junell. It is used under the Creative Commons Attribution-ShareAlike 2.0 Generic license.